The Holidays are coming and bringing with them all of the delicious holiday baking. I can’t wait to dive into creating pumpkin pies and delicious rolls. Right at the top of my list to create are OREO Cookie Balls. They are a delicious bite-sized morsel that pleases any crowd. 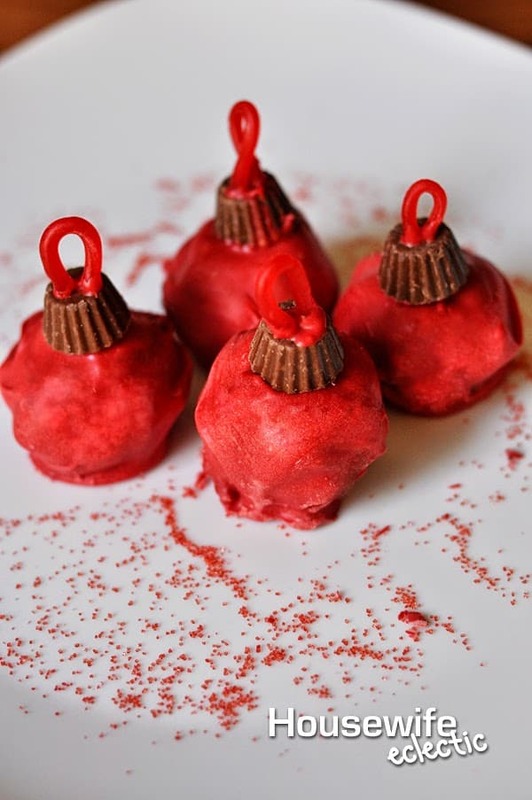 You can leave them dipped in chocolate just like the official recipe says to, or spruce them up a little bit to be OrREO ornaments, snowman or even the Jolly Old Man himself. They are pretty simple to make and come together in just over an hour. 36 OREO Cookies, finely crushed (about 3 cups), you can find a 50 cent Oreo Coupon here. MIX cream cheese and cookie crumbs until blended.SHAPE into 48 (1-inch) balls. Freeze 10 min. Dip balls in melted chocolate; place in single layer in shallow waxed paper-lined pan. CUSTOMIZE it with your own ingredient additions or decorative skills. REFRIGERATE 1 hour or until firm. I found the OREOs in the cookie isle at Walmart, the string licorice and mini peanut butter cups were on the candy isle and the red chocolate wafers I needed were in the Christmas seasonal isle. Melt the chocolate wafers according to the package directions. Roll the balls in the chocolate after they have been frozen for the recommended 10 minutes. 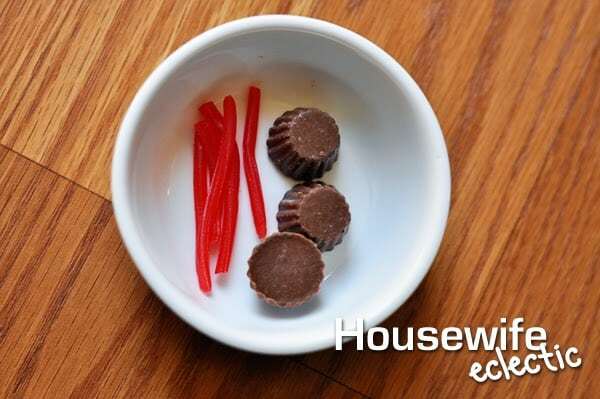 Before the chocolate sets on the balls, add the peanut butter cup to the top and top with a small loop of string licorice. One of the things I absolutely love about OREO Cookie Balls, is that there are so many flavor options when it comes to the OREOs themselves. We used the Berry OREOs this time and it was absolutely delicious, but you could use regular or another version that strikes you fancy. It would make for a completely different tasting recipe, even with all of the other ingredients being the same. Have you ever made Oreo Truffles before? Those are so cute! What a clever idea. I bet they taste really good too. Cute and delicious. Those are two of my main criteria for nom noms. Thanks! I love that! 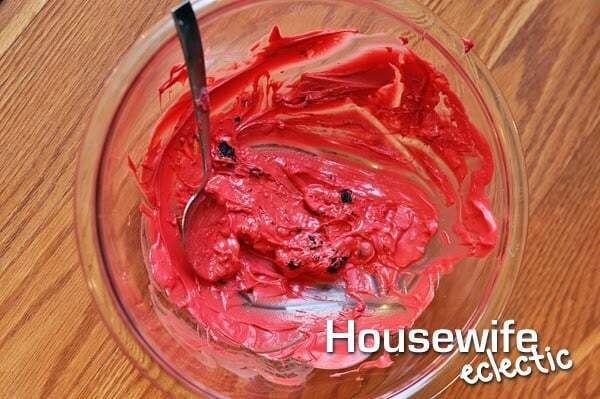 I haven't begun any baking yet. I need to get busy! 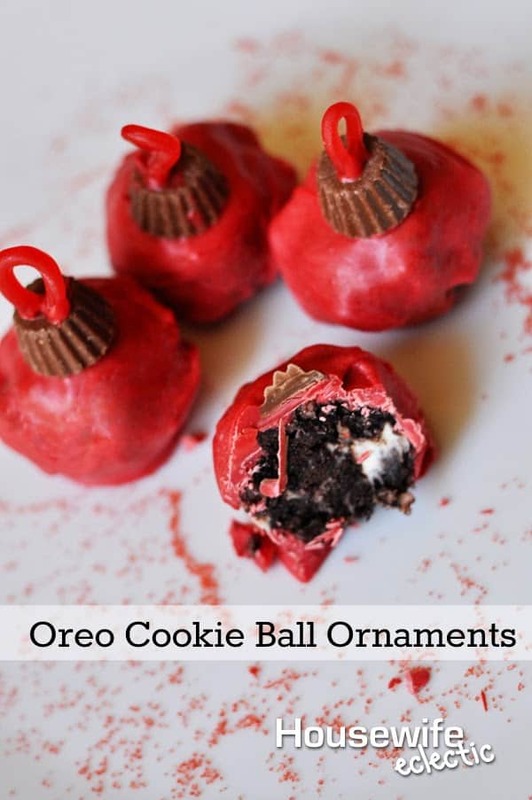 That is such a neat twist to the Oreo Cookie Ball! My boys love those and this method would be fun to make. Yum, those look absolutely delicious. I will have to make them with my daughter! What a great way to dress up a treat for the holidays. These are so easy to make! I didn't know there was a Berry Oreo. Yum. And the treats look tasty! The treats look like a ton of fun and very tasty. It's always fun to find a new treat! That is such a cute twist on a classic cookie ball. I want to try! What a neat idea! My kids would probably love to help me make this. So cute!